Bowing out in the quarter finals were Mary Alderson, Madison McMullin, Paula Firth and Mavis Franks. Losing semi-finalists were Lin Ruscoe and Shirley Corrin which left the final an all South Ramsey affair between Fiona Kennish and Jenny Moore. At the 13th end it was 14 across but Jenny moved ahead in singles to give the finals core 21-15. The presentations were made by Bernie Kaighin who thanked the Club members for organising such a wonderful event thanks especially to the ladies in the kitchen and to Richard Faragher for running the competition together with the measurers and markers. In her speech Jenny thanked everyone involved with running the event. 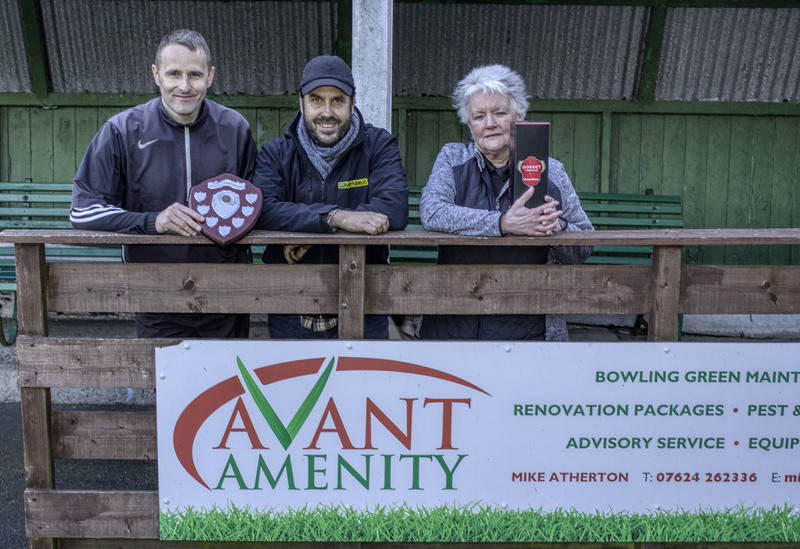 Saturday 13th April saw the staging of the Avant Amenity Mixed Doubles played on what many described as a superb playing surface on Douglas Bowling Club Green at the Villa Marina. The conditions however could be described as challenging with a very strong and cold wind coming off the sea and the green running quickly for so early in the season. With an entry of 31 pairs we saw some good early games and at the quarter final stage we saw Voirrey Curphey and Lee Dawson beat Derek Allen and Margaret Tasker 21-20, Stefan Kelly and Kim Hargraves beat Dave ‘Dido’ Kelly and Chris Price 21-20, Glynn Hargraves and Elaine Moore beat Lyn Bolton and Trevor Quayle 21-15 and Matthew and Alison Keggen took a 21-17 victory from Stuart and Paula Garrett. The semi-finals then saw the Hargraves/Moore pairing win a very tough battle against Matthew and Alison Keggen to take the honours 21-20, whilst Stefan Kelly and Kim Hargraves defeated Voirrey Curphey and Lee Dawson 21-10. The final was played in bitterly cold conditions, but with the green still running well it was Glynn Hargraves and Elaine Moore who put on a show of great bowls to take the win 21-9 from Kim Hargraves and Stefan Kelly. At the presentation which was performed by Mike Atherton of Avant Amenity, Glynn thanked the sponsor and Douglas Bowling Club for staging the competition and remarked on the great condition of the green. Following the first double week of fixtures, Castletown A lead the way at the top of the Ladies Night league following their wins over Champions Port St Mary A and Port Erin. Castletown are always tough on their own green but despite winning six of the nine games they only managed to win the tie by six chalks underlining how close the sides are. Anne Oates, Kim Foy and Tracy Moore all came through close games to win 21-19, 21-18 and 21-17 respectively. Kath Kinley, Sue Peach and Hannah Drewett also won for the home side. Port St Mary’s three winners were Val Macfarlane, Margaret Tasker and Jayne Kneen who was the only player to win to single figures on the night. The final score was 163-157 (6-3). Port St Mary B were visited by South Ramsey with the home side performing well winning four games to restrict the title challengers final score. Linda Dawson, Rita Callister, Wyn Collister and Lesley Coker won for the home side. Away wins for Sue Collier plus single figure wins for Elaine Moore, Jill Quayle, Jenny Moore and Fiona Kennish gave South Ramsey the advantage winning 120-151 (4-5). Onchan managed to win six games but ended up narrowly winning the match by a single chalk against Mooragh Park. Janet Monk and Helen Martin both won to single figures for Mooragh and with their other players pushing Onchan all the way just fell short losing 157-156 (6-3). In the remaining matches on Wednesday Nobles won comfortably by 40 chalks away to Peel Sunset 137-177 (2-7), Port Erin defeated Ballaugh at Breagle Glen 151-132 (6-3) and Douglas won 164-125 (6-3) against Castletown B. On Friday South Ramsey faced Nobles with these teams occupying 3rd and 4th places in the league last season. Elaine Moore, Lyn Bolton and Sue Collier won to single figures backed up with wins from Ann Gale, Kim Hargraves and Jenny Moore. Nobles managed three wins from Paula Firth, Clare Cooper and Sylvia Kennuagh. South Ramsey won the tie by 24 chalks 158-134 (6-3). Marown, who sat out from the matches earlier in the week, travelled to face Douglas. Shirley Whelan, Rosemary Winckle, Pat Withers and Mary Alderson all won to single figures with Helen Withers and Joyce Ogden the other winners for the away side. Paula Garrett, Muriel Cain and Maureen Wilcox won for the home side but the final score was 124-157 (3-6) in favour of Marown. Castletown A continued their dominant start to the season picking up a strong 186-123 (8-1) victory against Port Erin. Castletown were denied a full house by Voirrey Curphey who won 21-18 for the away side. Peel Sunset bounced back from their defeat earlier in the week defeating Onchan 178-133 (7-2). Gill Clark, Shirley Corrin and Mary Moffatt performed well winning 21-5, 21-8 and 21-8 respectively. Dee Lewis and Joanne Kelly were the only winners for Onchan with Marylin Ellison just losing 21-20. In the final matches from Wednesday Port St Mary B and Ballaugh collected their first wins of the season. Port St Mary B beat Castletown B 166-106 (7-2) and Ballaugh won 166-139 (6-3) against Mooragh Park. Port St Mary A sat out from Fridays matches so drop from the top places in the league which are currently held by Castletown A, South Ramsey and Nobles. Eight hardy souls turned up on a bitterly cold afternoon on Sunday 14 April at Finch Hill. They were battling for the right to represent the Island at the British Merit finals which will be taking place at St Helens on Saturday 13 July. A pleasing number of spectators and supporters turned up to cheer their favourites on, and were treated to some fine bowling and competitive games. Coming through the first round we had Clare Cooper knocking out team-mate Debbie Leece 21-10, Janet Monk getting the better of Alison Keggen 21-8, Kim Hargraves getting into double figures against Caroline Whitehead before losing out 21-12. The closest game of the round saw Fiona Kennish eventually see off last year’s winner, Lynda Cadamy 21-17. In the semi-finals, Clare was in control, despite Fiona’ best efforts, moving into the final 21-12. Perhaps the most nail-biting match of the afternoon was between Janet Monk and Caroline Whitehead. After a cagey start which saw the players level at 7-7 after ten ends, Janet had a good run to lie 15-9 after fifteen ends. Caroline got back to 18-18, a 2 then giving Janet a 20-18 lead, but her opponent would not lie down and came through to win 21-20. Caroline had another tough battle in the final, although she got off to a flyer, leading 19-10 after eighteen ends, then on to 20-13, at which point Clare started to find her length and begin to creep up on Caroline, getting back to 18-20, before the Port Erin player took the next end to win 21-18 and earn the right to represent the Island at St Helens in July. Thanks go to Finch Hill for their help and the use of their facilities, and also the spectators who turned up to add to the atmosphere of the event. 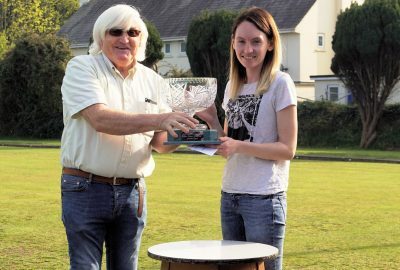 The Hands Trophy for the 2018 non-winners, which had to be held over from last year, took place on Saturday 6th April at South Ramsey. Perhaps due to it being so early in the season combined with the inclement recent weather there was a small, but select , entry of thirteen. The day was sunny and players and spectators were surprised by the pleasant conditions which contributed to some fine bowling on show. In the first semi-final Joyce Ogden and Lyn Bolton were neck and neck all the way with Joyce actually getting to 20 first before Lyn came through 21-20. In the other semi final, Margaret Tasker produced some good woods but Lynda Cadamy had an easier passage coming through 21-11. In the final Lyn got off to a flyer reaching 13-6 before Lynda had a chance to blink. Lynda scored a 2 on the next end but was unable to stop Lyn winning with a final score 21-12. Association Vice-president Heather Horsburgh thanked all those who had entered and also thanked the South Ramsey Club for the use of their facilities and also for providing the refreshments. The opening matches of the 2019 season were held on Thursday in cold, but dry, blustery conditions. Both Peel Sunset and Castletown got off to a flying start with both teams winning all 6 games against Douglas A and Douglas B. South Ramsey travelled to take on Port Erin A and had a good win with a margin of 104 to 68 chalks. Marown also travelled south to take on Port St Mary B team who they beat by 40 chalks. Brenda Hawkard and Pauline Worrall both won their games for Port St Mary but Marown’s performance by Philipppa Taylor, Shirley Whelan, Celia Joughin and Mary Alderson tipped the scales in Marown’s favour winning 4-2 in some close games . Ballaugh had a very friendly game against Port St Mary A . Barbara Graham playing for Ballaugh won her game against Wendy Kennaugh but Port St Mary A won the match 5-1. Mooragh B were at home against Port Erin B and had a very close game with the home side winning on chalks 95-92. A good entry of 40 bowlers contested this seasons C. Tarleton Hodgson Insurance sponsored Jubilee Cup at Port St Mary. Traditionally a mixed triples format, this season was changed to a mixed singles in order to promote mixed singles competitions. Blessed with sunny weather after a week of chilly conditions, it turned out to be a pleasant day to play, and watch. The first quarter final was between Alec Taylor (Peel) & Matthew Keggen (Marown), after coming through three tough matches, Taylor lost out 13-21 against an in form opponent. The next quarter final between two home greeners saw Trevor Quayle beat Bernard Thackrah 21-13. Thackrah had a good win in the previous round beating Lee Dawson (South Ramsey) 21-17, who had himself beaten Barney Kelly (Peel) before that. The third quarter final between Philippa Taylor (Marown) & Brian Lowe (Port St Mary) went all the way, with Philippa scoring two on the last end to win 21-20. The last quarter final was a good battle between two top players with Matthew Quirk (Onchan) winning 21-16 against Janet Monk (Mooragh Park). The first semi-final saw a great match between Keggen & Quayle. This one could of gone either way, but Keggen scored the last point to win 21-20. The second semi-final was between Philippa Taylor & Matthew Quirk. Quirk built up a good lead early on. Philippa fought back well but Quirk was bowling very well and won 21-12. In an excellent final between the two Matthew’s, both players had been on top form all day. Every point was hard earned in the final, and Matthew Quirk was slightly more consistent in the final winning 21-13 to seal his first singles open win. The presentation was made by Wayne Roberts, thanking the sponsors, C. Tarleton Hodgson Insurance, the Port St Mary ladies for their excellent catering, Ray Watterson for the excellent condition of the green, everyone who helped in anyway and to those that took part. The long awaited night league crown green bowls season starts on Monday 1st April with Division One champions South Ramsey A, who will have it all to do to retain their title with the news that the Islands undisputed number one player John Kennish is taking a break from night league bowls having won everything there is to at team level, with the loss further compounded by a couple of their top players due to be missing for stints throughout the season. 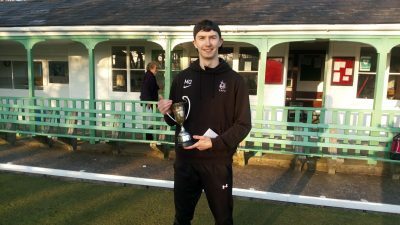 With the loss of Kennish, this has given James Teare the opportunity to step up having improved each season that he has played since taking the game up in 2013 to prove there is a reward for putting the time in to the game. South Ramsey B have signed Edward Carlyle from Onchan, who will be encouraged to be playing regular first division bowls, as they look to secure another season in the top division. Marown A have no changes to report from their first team from last year, may well be favourites to win the league for the first time since 2013. Whilst Marown fell short by 21 points last season, they will no doubt feel that they can perform better individually and as a team, and will be in good spirits with a number of their players having recently returned from a bowling holiday in Cyprus. Marown B who have a good blend of youth and experience will feel confident of retaining their top flight status once again, having done so fairly comfortably last season. Onchan A look to have made a couple of signings, with Frank Watson joining from Peel A whilst Steve Parker is rumoured to be making the move from North Ramsey A, they will look to improve on last seasons points total. Peel A have signed three time former Manx Champion Andy Kennish, who joins from Douglas having captained them last season, with Stevie Kelly taking on the captaincy for a second season. Douglas A having lost their captain, appear to be largely unchanged. 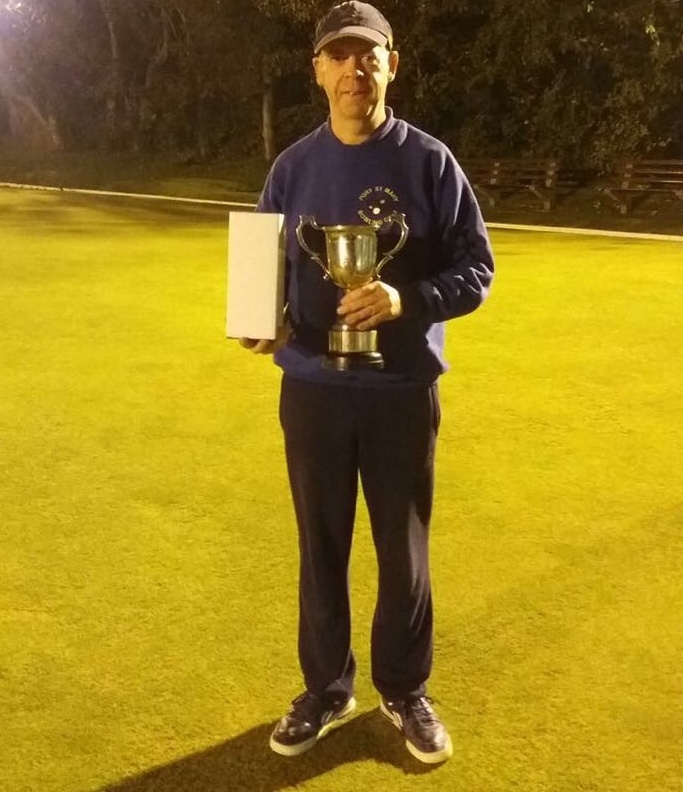 Former Manx Champion Gary Conwell is now entering his 40th season of league bowls with 25 of those on the Isle of Man. 2018 Division two winners Noble’s A will be hopeful of staying in the top division, provided they have managed to keep the same team as they had last season, with young Glenn Boland and newcomer Reginald Temporaza in their ranks with both keen to impress in the top flight. Port St Mary A have signed Dave McCabe who has made the short move from Port Erin, which has allowed McCabe to continue to play bowls in division one, whilst my younger brother Glenn ‘Tango’ Hargraves is rumoured to be on the verge of making a bowls comeback after a number of years away from the game. Castletown A have been struck a blow with the news that Mike Hargraves has taken the tough decision to stop playing bowls having played for Castletown A since 1974, with 17 year old Sam Clague believed to be taking the opportunity to step up into the A Team. The B team will be confident of staying in division one having gained promotion last season and may look to give their A Team a run for their money as to who will be top dogs in the town. Rumour has it Bob Clark has returned to Castletown and will be playing in the B Team, with Nathan Cooil making a full comeback which is great to see. Nathan Hamilton has left Port St Mary after just one season to join up with Clark & Cooil. Back to the north of the Island and North Ramsey A have a new captain in Allan Callow, who will no doubt hope the improvement in the green last season has continued over the winter to help their good home form. 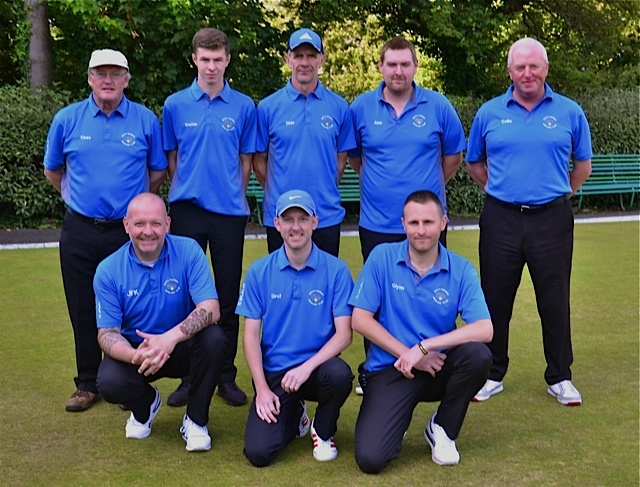 In Division Two Port Erin A will be looking to bounce back from being relegated, with the club hoping to take over the maintenance of the bowling green shortly which will allow them the opportunity to have the green as they would like it, this may well encourage new members to join the club. Port Erin when running well can be a difficult green to play. Ballaugh A & Finch Hill A are the only other A Teams in the men’s night league that don’t have an A Team in division one, with Ballaugh A the more likely of the two who could possibly go up, with their home form not in doubt, it is their results on their travels that will be key to mounting a serious challenge. Douglas B who were relegated along with Port Erin A may find it a bit tougher to go straight back up to division one. Division three champions Marown C, will be hopeful of continuing their season by season improvement by retaining their place in division two, whilst Ballaugh B may find it a bit tougher to stay up. In Division three Noble’s have added a third men’s night league team, with Douglas D dropping out of the league having struggled to fill four teams for the majority of the 2018 season, whilst Port Erin B will be looking to make an immediate return to division two. After a tough summer last season the Islands clubs can only hope their greens have wintered well following the work carried out in the Autumn to help get them into good condition for the 2019 season. I hope everyone is looking forward to the new season and I look forward to seeing you around the greens. Following their success in winning the league for a third consecutive season, South Ramsey A once again have the opportunity to compete in the World Club Championships on Sunday 7th April, with the competition taking place at Spen Victoria Bowling Club where they take on Ecclestone (Merseyside). The competition involves 16 teams, is played over four consecutive weekends in a group of four teams on a straight knockout basis. The other two teams in the group are Newdigate (North Midlands) who will play Thurgoland (South Yorkshire). The winners from each game in the group then play off to qualify for the finals day on Sunday April 14th.